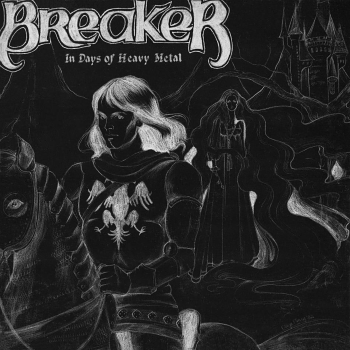 I know what you all might be thinking right from reading the band’s info and yes, Canada actually did produce some amazing metal records throughout the 80s, but what’s really obscure about Breaker‘s only release is that it is just so ahead of its time in terms of their songwriting and undoubted raw talent. We’re talking about 1982 here, a year where the NWOBHM was at its peak and almost all bands at the time played a reasonably similar style, regardless of it being the most important metal wave in history. To even begin to imagine a band playing a style that is so reminiscent to power metal legends Warlord or Omen makes my mind boggle. The order of the tracks on this EP is meant to slowly prepare the listener for the closing song. “Living Free” takes its influence from NWOBHM bands, as their sounds are quite apparent, along with that ever-so enchanting chorus we all know and love from these bands. “Satan’s Lyre” is probably the least enjoyable track on this EP, as the riffs and singing that back them up are almost bland-like and don’t really conjoin with one another. “Easyrider” is a fairly fun song to jam to, very similar to Iron Maiden with a Power Metal twist, especially in the chorus, which easily reminded me of what Di’Anno would sing. The title track is where the real meat is at; truly a remarkable piece of work. Clocking in at over 10 minutes, Breaker is able to forge together an orchestral-like experience through their use of different effects that harmonize so beautifully together. And in those 10 minutes, it is quite difficult to get bored, as the riffs are constantly changing, new sounds are being introduced (like the choir section, for example) and tempos shift drastically. Epic is all that needs to be said throughout the song, and for it being 1982 during the recording session, these young men were surely gifted of some sorts. 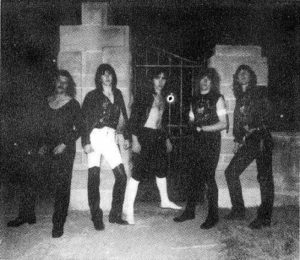 Although often overlooked, Breaker could easily be identified as the pioneers of epic metal (in Canada, that is) with just that one song. For all you muthas who actually own a copy of this gem, I salute you. Prepare to spend up to 300$ for this classic!